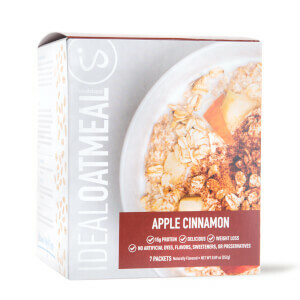 Our Oatmeal is the perfect breakfast or meal replacement during the day. Enjoy it in two flavorsome alternatives, Maple & Brown Sugar or Apple Cinnamon. Like most of the instant oatmeal choices out there, we could have simply used cheap ingredients and called it good. 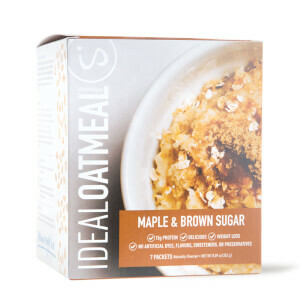 In most instant oatmeal you’ll find tons of processed sugars, preservatives, and ingredients you can’t even pronounce. At IdealShape, we wanted to provide you with something awesome, not average. Our oatmeal is made with natural ingredients like whole baby oats, whey protein, stevia, and natural flavors.